So today is the 8th day of Fast. Ramadan began on the 1st August this year. What is Ramadan anyway? 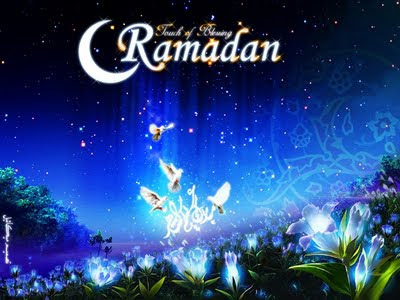 During the blessed month of Ramadan, Muslims all over the world abstain from food, drink, and other physical desires during the daylight hours. As a time to purify the soul, refocus attention on God, and practice self sacrifice, Ramadan is much more than just not eating and drinking. Muslims are called upon to use this month to re-evaluate their lives in light of Islamic guidance. We are to make peace with those who have wronged us, strengthen ties with family and friends, do away with bad habits essentially to clean up our lives, our thoughts, and our feelings. The Arabic word for "fasting" (sawm) literally means "to refrain" and it means not only refraining from food and drink, but from evil actions, thoughts, and words.